Working in Cambodia provides an excellent opportunity for cultural immersion, whether you work for an established business or start your own. Although it’s true that Cambodians do not expect foreigners to behave the way they do, or comply with their standards of behavior, it’s important to know how Cambodian culture plays into the workplace environment. Cambodian society is highly hierarchical. For example, in meetings staff will probably not be eager to volunteer great ideas. Rather, they are more likely to agree with whatever the boss suggests, even if they know it’s not in the best interest of the company. As a foreigner working in a Cambodian company, you may be seen as slightly outside of these rules, but it’s still best to try and be as diplomatic as possible. Understanding the concept of face is key. Face is honor, reputation, dignity, and social importance all rolled into one. An employee will lose face if ever taken to task or told that he is doing something incorrectly in front of his peers. Any sort of negative feedback should be delivered privately, in a calm manner and as indirectly as you can stand. Giving suggestions for improvement rather than criticism is also a good way to proceed. Face will affect you at work in many subtle ways. Your colleagues will always say they understand you, even when they don’t. When pressed, they may make up answers to questions you pose, in order to not admit that they do not know the answer. When you ask them to do something they disagree with, they will answer “Yes, yes,” and then not do it, much to your annoyance. In these cases, their intention is not to defy you, but rather to save face for both of you by avoiding an open confrontation. You’ll find that your colleagues will also try and help you save face by not telling you about any mistakes you might be making, however helpful that information might be to you. You may discover people doing what seem like ridiculous workarounds for extended periods of time to protect you or their colleagues from realizing that you or they are doing something incorrectly and make sure that no one loses face. Exhibiting anger or losing your temper is seen as a major loss of face, not only for yourself but for those around you. Remaining calm and learning deep-breathing techniques will help immensely in these situations or, when that fails, a stiff drink. What’s the most important thing you’ve learned about doing business in Cambodia? Not to expect things to run on your timetable. Not staff, not customers, not suppliers, not meetings. If you do not learn to be more flexible in this regard, you can drive yourself insane. 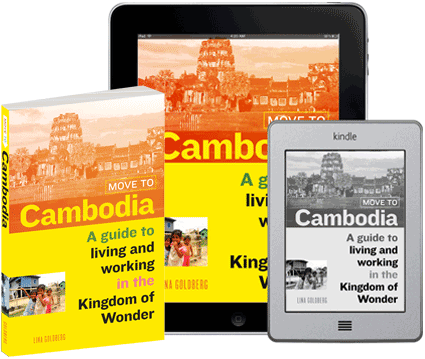 What are the best things about working in Cambodia? The scope of opportunity here, the chance to work with, or for, companies that you may not even get an interview with back home. Or, if you’re setting up your own business, you can have a 100 percent foreign-owned company here. The government is very pro-business and is actually very approachable. Work here is (usually) a lot less stressful than roles I have had in London, New York, Milan, Paris, etc. Business visa requirements are just: turn up, pay the fee, forget about it for the next twelve months and then repeat. 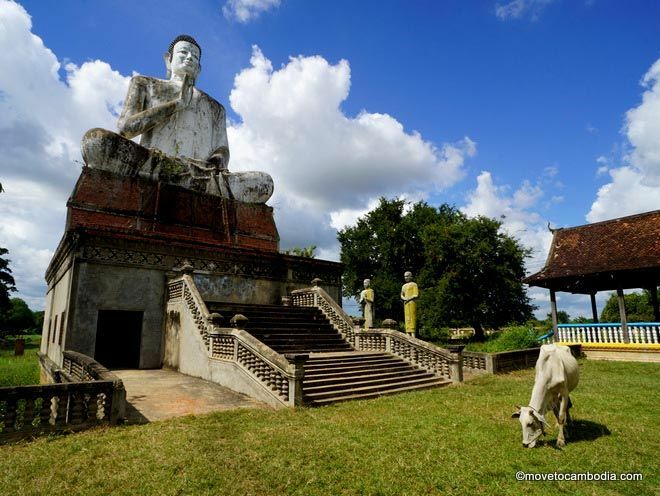 What are the biggest challenges of working in Cambodia? If during the course of running a business, or even just working here, you have to manage multiple members of local staff, you need to understand that in Cambodian culture, work comes in a distant third in their priorities. Family comes first, then second are their friends or social network. Then work follows in. What this means is that if there is a problem in the family, quite often people just do not come to work, do not call and tell you, and upon their return they often use the phrase (in English) ‘Too busy to come to work.’ You can try and put safeguards in place to offset this, as well as explain why you should at least get a phone call explaining that they will not be in today. But that takes time and is not always understood, as from their perspective you are the one acting oddly, and not them. The local educational institutions provide a low quality of training and education. This results in a workforce that needs extensive training when they enter the job market. Their capacity needs to be built almost from scratch. The 23-plus days of public holidays make running a business difficult at certain times of the year. It also reduces Cambodia’s competitive advantage over such countries as China and India–and, in the near future, Burma.